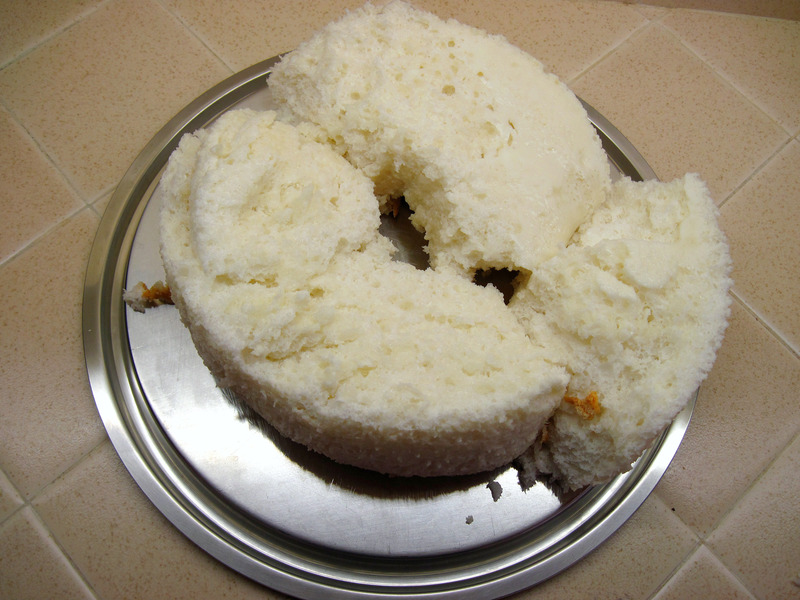 I thought I would attempt to make a homemade angel food cake for Laura’s birthday. I had tried it once before, years ago, and it hadn’t turned out well. This time I studied recipes and watched a video on YouTube that showed how to beat the egg whites. I’m not going to give the recipe that I tried. There were so many people who claimed to have had great results with it; I think it was my failure, not the recipe’s. In hindsight, I probably didn’t beat my egg whites long enough. It was obvious that it had seriously collapsed when I took it out of the oven, but I cooled it upside-down on a bottle. I thought that maybe it could be salvaged. I had no time to fiddle around trying to make another homemade cake. I needed to get it done that night. So off to the store I went to recruit Betty Crocker to save the day! 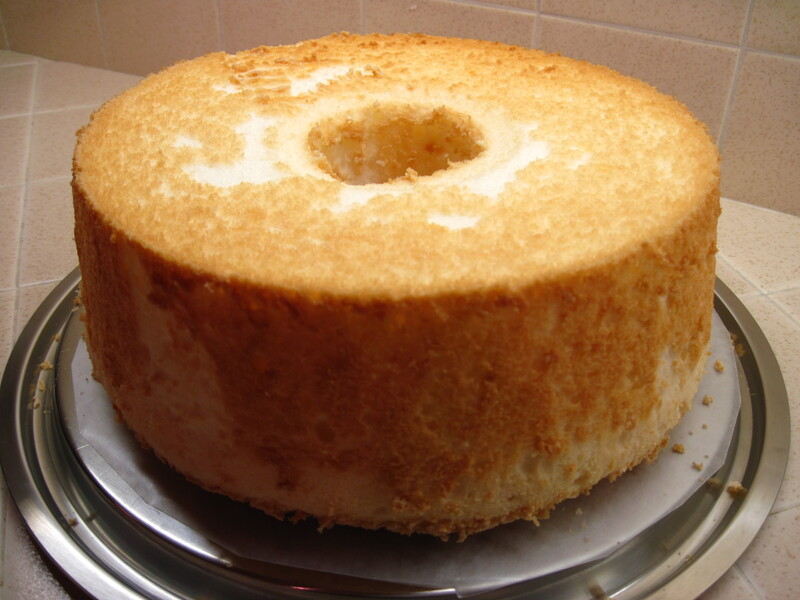 While homemade angel food cakes can be very tricky, angel food cake mixes are one of the easiest cakes to bake. In less than an hour I had a cake that would work to hold my Penuche Frosting. 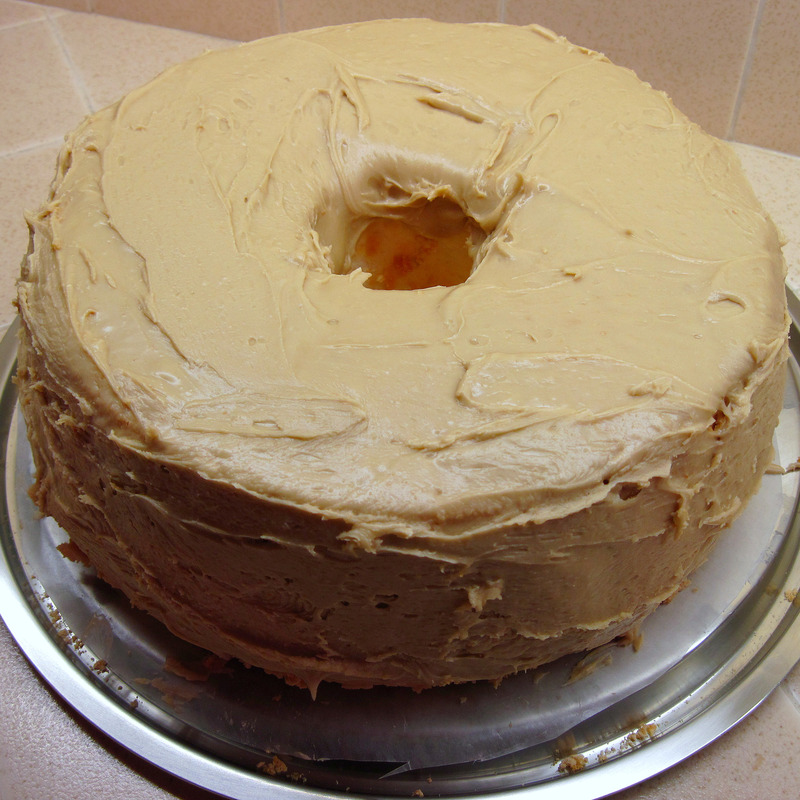 My mom started using Penuche Frosting on angel food cakes when I was a kid, and it’s been a family favorite ever since. The recipe I use is adapted from the one in the 1981 edition of the Better Homes and Gardens New Cook Book. So here’s Laura’s birthday cake and the recipe for Penuche Frosting! 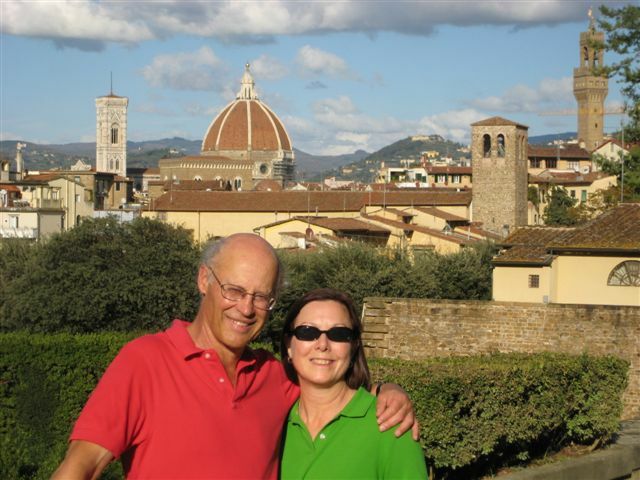 Makes enough to frost an angel food cake, the top of a 13×9-inch cake, or the tops of two 8- or 9-inch layers. Be sure to sift the powdered sugars so the frosting doesn’t turn out lumpy. If you don’t have a sifter, you can press it through a fine mess strainer with a spoon. 1. Melt the butter in a medium saucepan. Add the brown sugar. Cook, stirring, until it is bubbly and well blended. Remove from the heat. 2. You can either continue the recipe with a hand mixer and mix the frosting right in the pan, or you can use a spatula to put the butter/sugar mixture into the bowl of a stand mixer, which is what I did. 3. Add the milk and mix well. 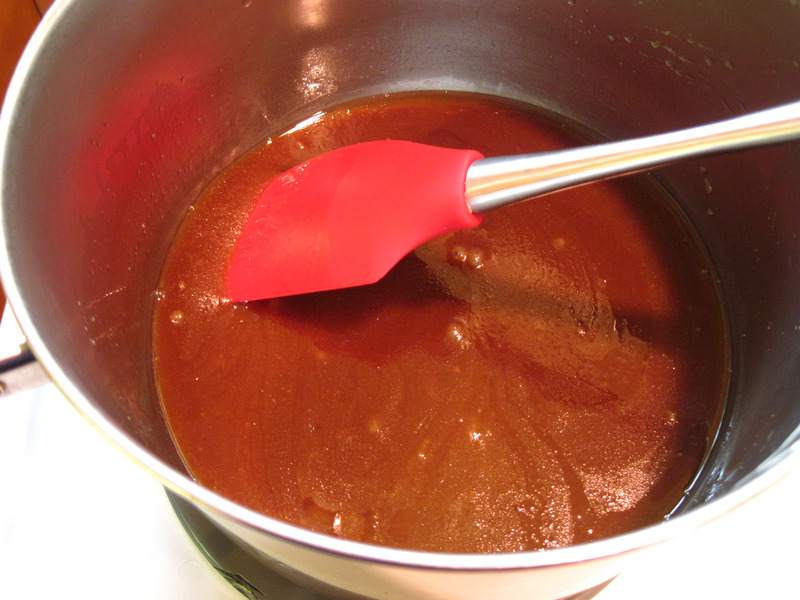 Add the sifted powdered sugar and mix until it is all blended and a good spreading consistency. 4. Work quickly to frost the cake right away.